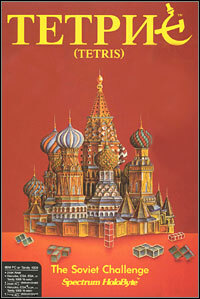 1988 – Spectrum Holobyte releases the puzzle game Tetris for the Commodore 64 and IBM PC. This was the first game imported from the Soviet Union. The game was written by Alexi Paszitnov and Vagim Gerasimov at the Computer Center of the USSR Academy of Sciences in Moscow. The Commodore 64 version would cost you $24.95, and the IBM version cost $34.95.